A short while ago I teamed up with programmer Sebastian Schoener to create some music and sound for his new game Patterna, and with its release last week, I wanted to document some of the thoughts and processes that went into creating it. Sebastian and I first met when we were both working on the popular Company of Heroes community project Eastern Front, back in 2012. After finishing our respective contributions, we remained friends on Steam and it was through here that he got in touch about Patterna. He was building a puzzle game in Unity inspired by HexCells and wanted an ambient/minimal soundtrack to go with it. The build that I played at the time was a fair bit simpler than the upcoming release, visually in particular, but it was still an intriguing concept that contained depth and a desire to eliminate guessing. The nodes and their visual information were part of a system that was fun to learn and was presented in ‘levels’ that could be procedurally generated for never ending play, and at a difficulty and format customisable by the player. ‘Count me in!’ I said. First, we discussed musical style. Now I am fairly accustomed to drawing from distinct themes, emotions and environments in order to piece together an appropriate dramatic soundscape, but this was a game about evoking something else – a state of mind. Specifically one suited to calculated decisions. It wasn’t until later into development that the space theme was established and so, with no dramatic or visual cues with which the music could stir the player in the traditional sense, Patterna’s soundtrack would instead need to be a backdrop for studiousness and calm. Sebastian and I exchanged pallettes of interest: the soothing worlds of ambient godfather Brian Eno, the repetition and trance-inducing layers of Steve Reich, and the shifting pulses and textures of John Adam’s post-minimalist style (a personal favourite of mine). I then set about writing a first sketch for a ‘main theme’ of sorts, something to add character to the menus and promotional material, and to act as a jumping off point for the background loops during gameplay. An earlier build before the star field was implemented. By this point we had also settled on the idea of having a minor amount of musical interaction with gameplay. Success sounds would play when correct nodes were revealed and these sounds would be from instrumentation supportive of the background music and with tones of a harmonious scale. For example, (Anti) Matter stays entirely in the key of D minor and the associated success tones are all in the D minor pentatonic scale. The notes themselves are played on the electric guitar and it is entirely possible for the player to use the unveiling of successful nodes as a means to add a lead line over the top of the musical backing, albeit a fairly crude one. Each backing loop then has its own success tones of an appropriate instrument and scale. Conversely, there is also a rather harsh, metallic failure sound for when the player makes a mistake that is nothing if not jarring. It is in this more direct sense also that the music intends to support and respond to the player’s journey of problems and solutions. Despite all this, I wanted Patterna’s soundtrack to have a soft touch overall. It was to be low in velocity, quiet in the mix and with a hushed, nebulous texture. Orchestral instruments are frequently pitch-shifted and EQ’d heavily, but with enough MIDI automation to make them feel realistic (hiring a whole orchestra was a little out of the question). Aside from the chordal string sections and rhythmic backbone of repetitive piano, vibraphone, celesta, and glockenspiel, woodwinds play an important role throughout. And I just couldn’t pass up the chance to play with a recent purchase – a MIDI Breath Controller from TE Control. It’s a USB stick at one end, with a rubber pipe leading to a mouth piece at the other, into which one literally blows like a real wind instrument. It senses the breath and converts it to MIDI information that can be used in conjunction with high quality samples to create a very natural sounding performance. 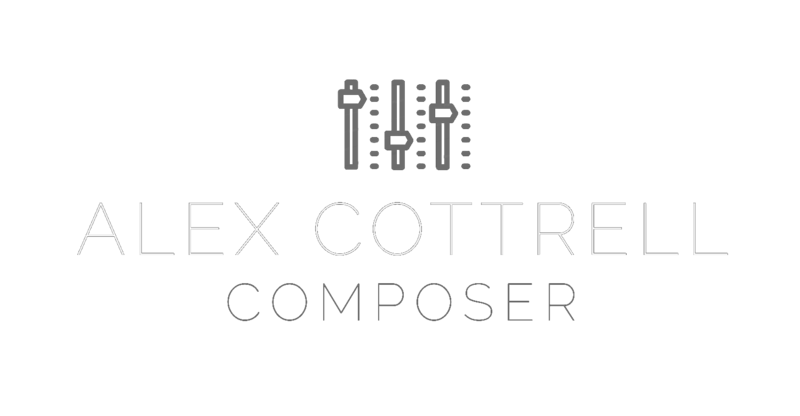 Great little piece of kit that I recommend to all composers! Once all the tracks were complete and made to loop seamlessly, my job was done! The game is now out on itch.io and you can also grab a demo if you want to try before you buy. You can also listen to the whole soundtrack and download it from the Bandcamp page. Working with Sebastian once again was a real treat and the technical design of the game is a product of his brilliant hard work and creativity. Patterna is a lot of fun to learn and play and requires no guesswork whatsoever to improve, great for beginners and veterans alike. That’s about all I have to say about Patterna and the music for the time being, but if you have any feedback about the soundtrack or have something you wanted to ask about its creation, feel free to get in touch any time. Happy puzzling!